Until recently, digital transformation was undertaken mainly by 'leading-edge enterprises' or specialised ‘innovation departments’. But, according to Constellation Research, digital transformation is now recognised as critical to the success of the enterprise, with majority of firms already on an organisation-wide programme led by the C-suite. The analyst firm recently interviewed 105 business leaders including CEOs, line of business managers, and heads of ICT, on their digital strategies, and the challenges they face. They found 70 per cent of respondents had a digital transformation strategy in place either company-wide or in major departments. 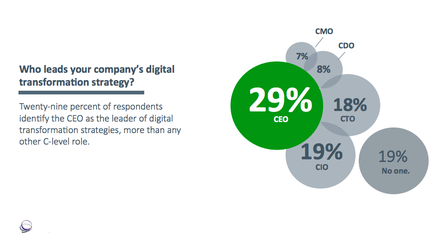 Moreover, nearly a third - 29 per cent - of respondents say the strategy is led by the CEO, while only 8 per cent of respondents say it is led by the chief digital officer (CDO). This data shows more firms recognise the strategic importance of digital transformation, that the organisation’s top executive is personally overseeing digital strategy, according to The Constellation Digital Transformation Survey. The report authors, Chris Kanaracus, Courtney Sato and R ‘Ray’ Wang, meanwhile, note majority of respondents named business growth or customer engagement as the primary goal of their digital transformation strategy. The third top goal is modernising IT systems or cutting cost. The survey finds the frontrunners build on the groundwork they have in place by experimenting with emerging technologies such as artificial intelligence (AI), blockchain and the Internet of Things (IoT). 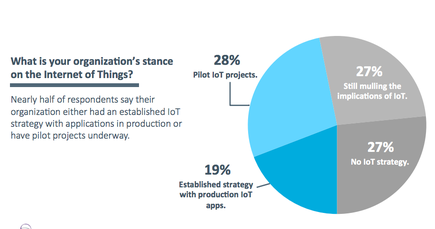 For instance, nearly half of respondents say their organisation either had an established IoT strategy with applications in production or pilot projects in place. They are also cautious about AI, with just a quarter of the executives saying they were investing in the technology. Blockchain has a lower uptake. 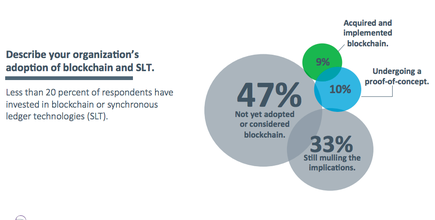 Less than 20 per cent of respondents have invested in blockchain or synchronous ledger technologies (SLT). 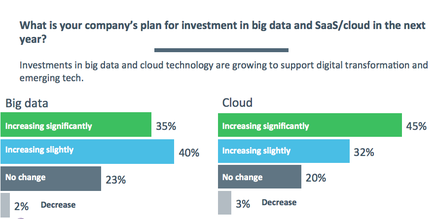 Investments in cloud and big data, however, are growing in support of digital transformation. 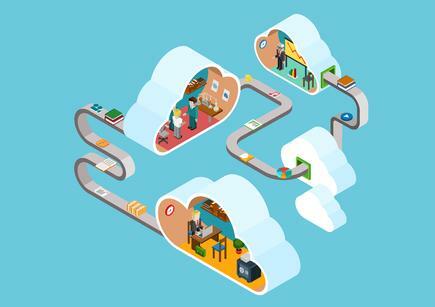 The survey finds 75 per cent of respondents will increase investment in big data; with 77 per cent saying they will increase investment in cloud technologies. The respondents identify C-level executives with technical roles leading 45 per cent of all digital transformation strategies, with CIOs leading 19 per cent, CTOs 17 per cent and CDOs 8 per cent. But digital transformation means differently to each executive in the C-suite, according to the survey. For the CEO, digital transformation generally means moving the organisation to a digital business model as the industry changes. CIOs plan for enterprise agility and craft IT capabilities to support new business models. 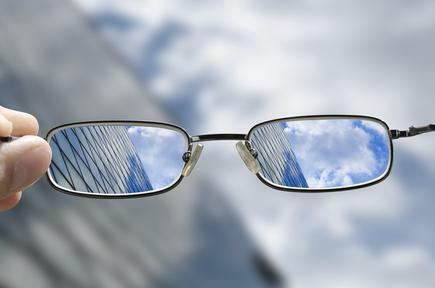 CTOs explore new technological roadmaps and consider how to apply consumer technologies to meet enterprise requirements. CMOs consider how digital technologies change the customer experience. Where to, for the chief digital officer? Constellation Research says the lesser prominence of the CDO in the survey may be due to some organisations not having someone in the role, or having a CDO who reports to another C-suite executive. Constellation Research expects more organisations will appoint CDOs to be responsible for the implementation and key performance indicators of the digital strategy. As digital initiatives continue to integrate into the business, the CDO will eventually report to the CEO on implementation of new business models; or to the CIO on issues around improvement of technology. “The CDO role will gain prominence in the near term but then gradually disappear as laggards complete their digital transformations,” the report states. The report says an issue they need to tackle is to build a digital workforce, as well as prepare to work in a business ecosystem that includes their competitors. "Everyone from the C-suite down should possess the skills and knowledge necessary to contribute to a digital business," the report states. "Invest in your workforce and prioritise the cultivation of talent from within the ranks of the organisation to ward off threats from talent poachers. Understand that no amount of technology will save an organisation without a competent workforce." Constellation Research shares ways the organisation can move from gut-driven to data-driven decisions. Start with a data strategy that seeks to ascertain answers to the business’ most important questions. These questions should be based on what the organisation needs to know, not based on the data it already has. "As the data strategy matures, the organisation should begin to utilise the insights generated by every element of the business, thinking specifically about how to collect data from different sources and how to package data sets creatively. "Finally, the organisation should decide how to monetise the data and how to create new business models that use it." The report concludes the importance of healthy partner ecosystems in order to succeed in the digital era. "They will help your organisation orchestrate content (products, services, experience and outcomes) in conjunction with technology platforms," it states. "The goal is to align with partners who can co-innovate and co-create these capabilities. In certain cases, the best partners will be your competitors."